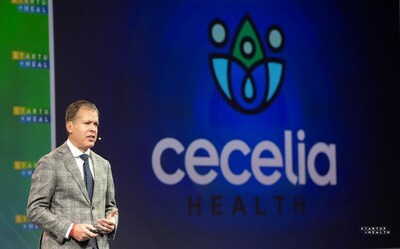 NEW YORK, March 26, 2019 /PRNewswire/ — David Weingard, CEO of Cecelia Health, a leading technology-enabled diabetes and related chronic disease management company based in New York City, has been recognized in MM&M’s 2019 class of Top 40 Healthcare Transformers. The MM&M Top 40 Healthcare Transformers Awards are judged with the utmost independence and authority, using an esteemed panel of leaders and thinkers representing a wide variety of disciplines and backgrounds within the healthcare marketing community. Inductees will be celebrated at an awards reception in New York City on May 7th. Cecelia Health’s mission is to positively transform the lives of people living with diabetes and related chronic disease states. Cecelia Health’s Certified Diabetes Educator (CDE) and other expert clinicians use Cecelia Health’s proprietary technology-enabled personalized coaching solution to optimize health outcomes at a low cost per patient and provide unique data-driven insights to health plans and ACOs seeking to improve quality measures, and pharmaceutical and medical device companies seeking to improve adherence. Cecelia Health has also engaged in numerous joint initiatives with the Juvenile Diabetes Research Foundation, American Diabetes Association, the Diabetes Research Institute, the American Association of Diabetes Educators, the Jaeb Center for Health Research and the Helmsley Charitable Trust.